It seems that one of the newest things spreading around the internet like wildfire is photos and videos making claims about what is and isn’t in milk. Most of the wild claims that there is pus or blood or other disgusting stuff comes from Vegan activists who have an agenda to get you to stop drinking milk. Some claims, like sugar or aspartame being added to milk is just people misunderstanding what milk is. I thought I’d do a quick internet roundup on what is and isn’t in your milk! Do they bleach milk to make it white? No. Milk is milk colored all on it’s own. Sometimes milk from grass fed cows can have a slight yellow tint to it. Skim milk might have a tint of blue but unless it’s a flavored milk, nothing is being added that changes milk’s color. No. There is no pus in milk. You can read more details HERE. Is there blood in milk? Again, the answer is no. A few years ago some asked me if chocolate milk was made from bloody milk and I wrote a post to answer that question. The post applies to white milk too. Read it HERE. Do they add water to skim milk? No. Skim milk looks thinner than 2% or whole milk because of what they take out, not what is added. Skim milk is called skim, because it has all the cream skimmed off of it. No cream means no fat! What is added to milk? Obviously chocolate or strawberry flavored milk has added ingredients but most plain white milk also has vitamin D added to it and sometimes vitamin A.
Vitamin D is naturally found in milk and more is added because generally people don’t get enough vitamin D from other food sources. Vitamin D also helps with calcium absorption. You can read more HERE. Vitamin A is added to milk to replace the vitamin A that is naturally in milk but is removed when the cream is skimmed. So whole milk doesn’t have added vitamin A but lower fat milk does. Anything that is added to milk MUST be listed on the ingredient list. Is there sugar in white milk? 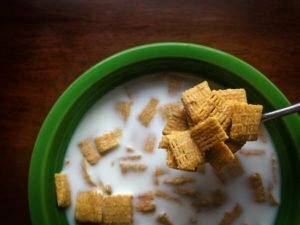 Is sugar added to white milk? No. The sugar in white milk is naturally occurring and comes from lactose. Flavored milks may have some sugar added to them but plain milk does not have added sugar. You can read more HERE. No. If it’s called milk, it can’t have aspartame in it. 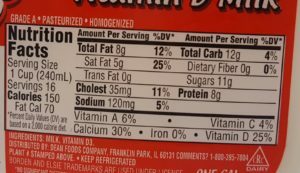 The federal rules are so strict about what can be added to milk that if aspartame was added to chocolate milk instead of using sugar, it would have to be labeled something like “Chocolate Drink”. There was a big controversy about this topic a few years ago and I wrote about it HERE. 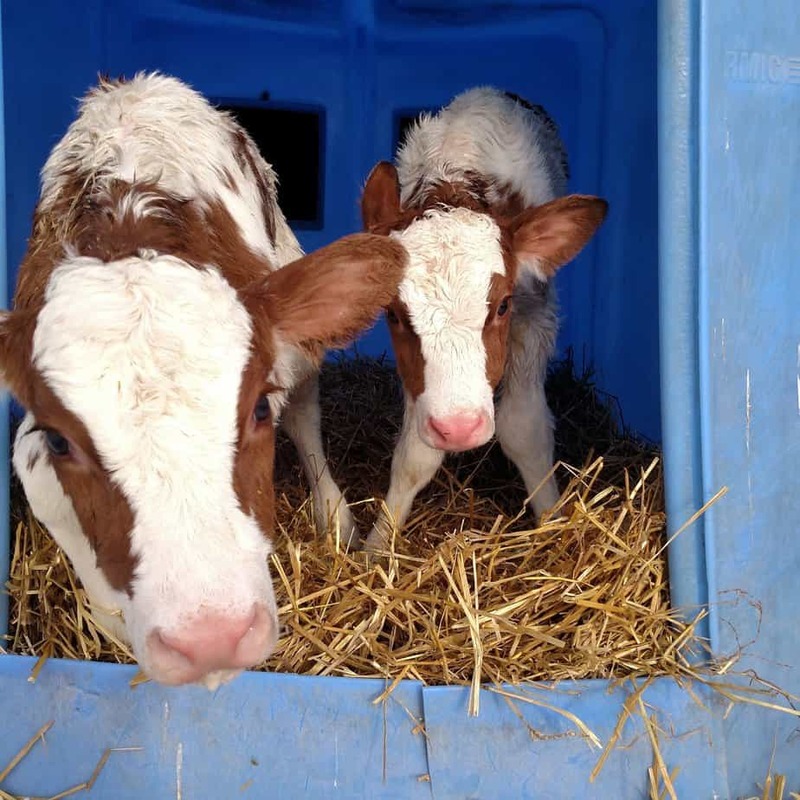 Is there rBST/rBGH in milk? Probably not. 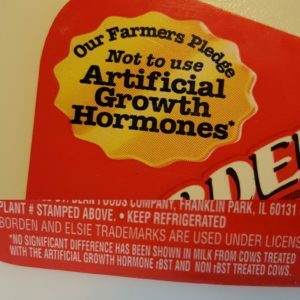 When you go to the grocery store and grab a gallon of milk, you would have a hard time finding a gallon that doesn’t have a label on it that says the milk is rBGH/rBST or hormone free. Any gallon that makes a claim about rBST/rBGH is also required by law to include a statement that no significant difference has been found between milk from cows given rBST and cows not given rBST. That information is usually in super small writing though. Like I said, tiny writing. Is milk tested for antibiotics? Yes. Every single load of milk from every single dairy farm is tested for antibiotics every single time it is picked up from the farm. The test used is so sensitive it can detect antibiotics in a single drop of milk. If milk is found to have the presence of antibiotics in it, the milk is thrown away. 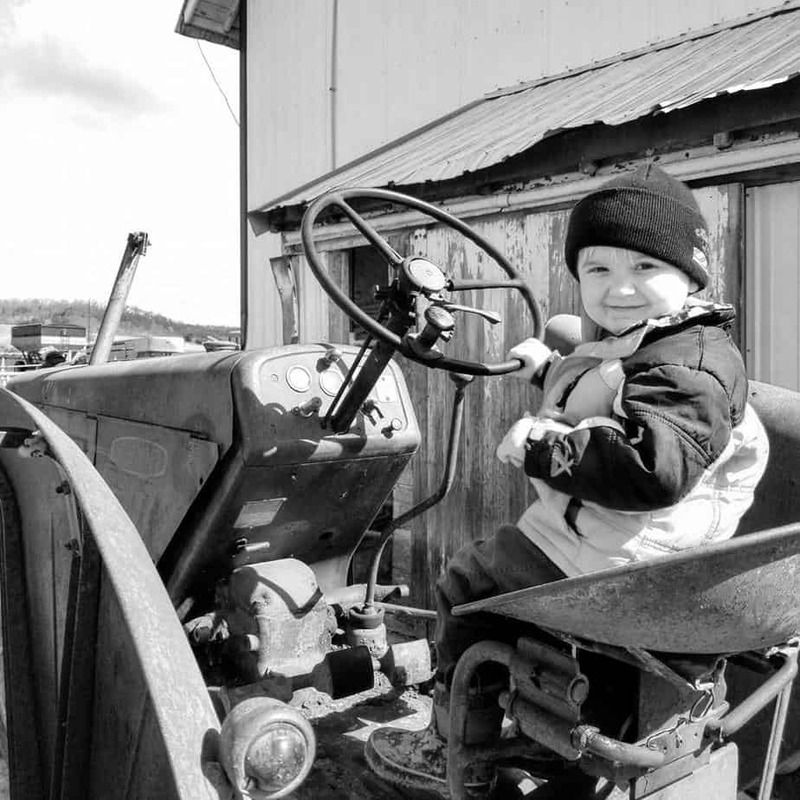 If a farmer send a load of milk that has antibiotics in it to the milk plant, that farmer will not only lose the money for their milk, but will also be responsible for paying for all of the milk from all of the farms that are also on the truck. You can read more about throwing away milk HERE. This is the test we run on our farm for antibiotics. 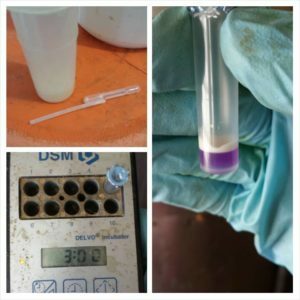 Every load of milk we sell is sampled and tested again by our milk company. This happens on ALL dairy farms. The purple part of the test vial turns yellow if the milk is clear of antibiotics. 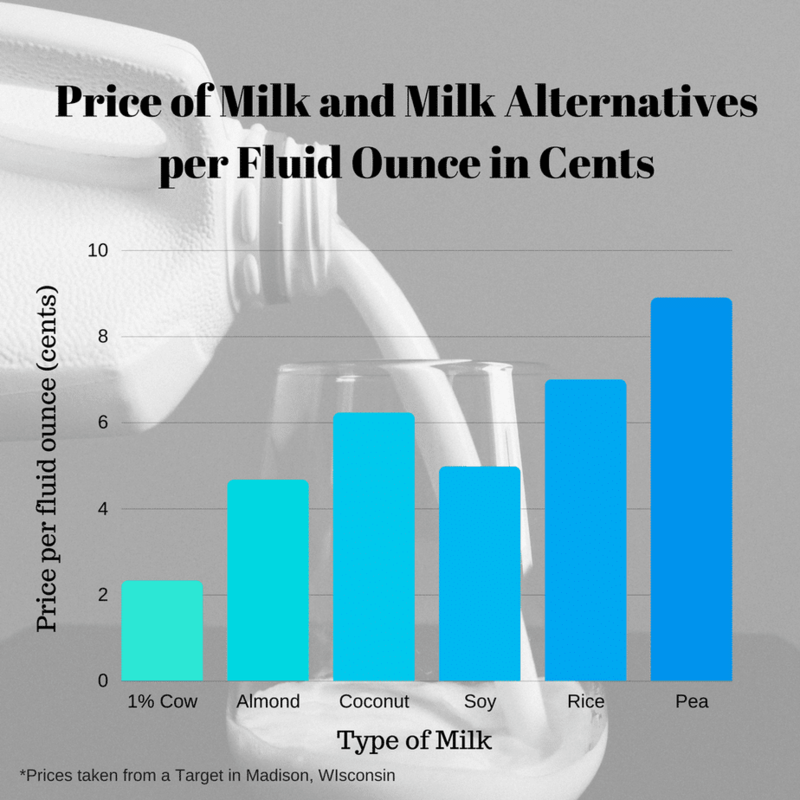 Hope this helps answer a few of your questions about milk! 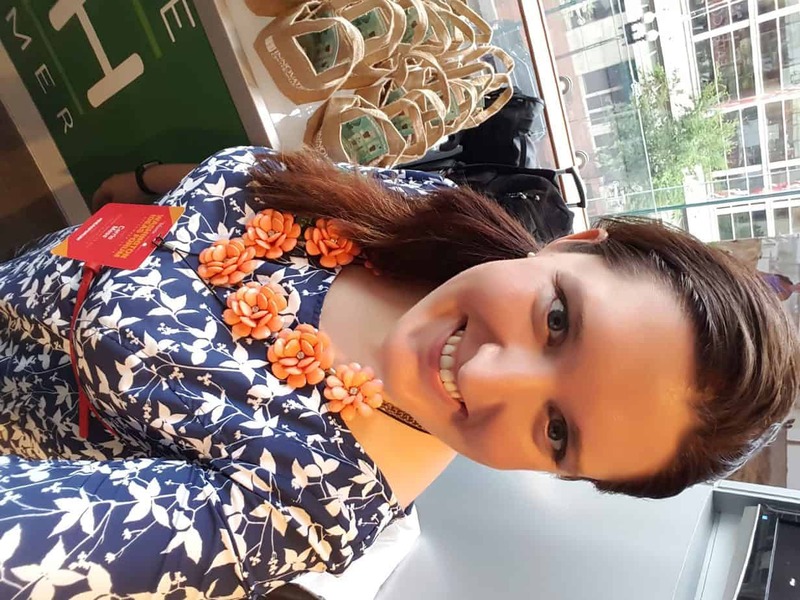 If you have a question I missed, leave a comment! « Germany, Bayer and Patents. 3 Comments on What’s Really In Milk? Thank you for this post Carrie! Milk is such an important part of a healthy diet. Of course I agree! Just glad to do a little myth busting!